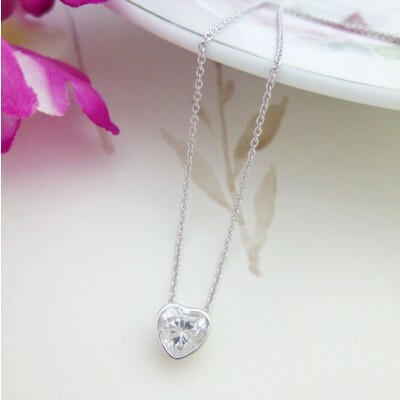 The Lexi CZ floating heart necklace is a beautiful piece of jewellery that suits a variety of women from a sweet sixteenth, girlfriend, valentines or wife. 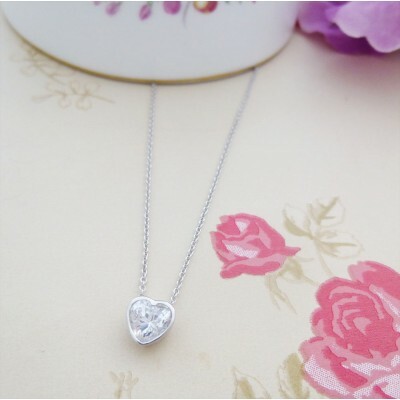 This is a necklace that all women will love, the simple floating heart design says everything that it needs to say to your special someone. The Lexi has a heart shaped cubic zirconia stone set within a sterling silver case, it is simple and significant in design and one of our favourites! This sterling silver necklace also features an extender chain providing you some flexinilitiy in choosing the chain length to suit you. 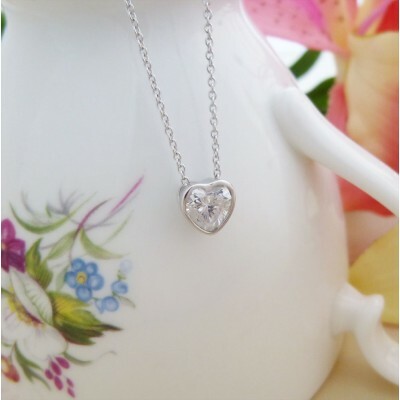 The Lexi Heart is made from sterling silver with a heart that is approximately 7mm x 6mm wide at its widest point. 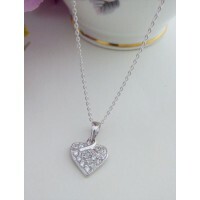 Set on a 41cm sterling silver chain. 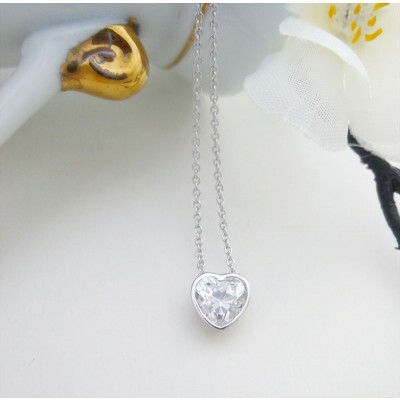 Made out of 925 sterling silver and hallmarked in the UK.